Beautiful elderflowers have a light, floral but heady flavour with a charming botanical aftertaste to leave you wanting more. The Kombucha is fermented with quality Chinese teas then fragrant elder blossoms are added at the final stages of brewing. 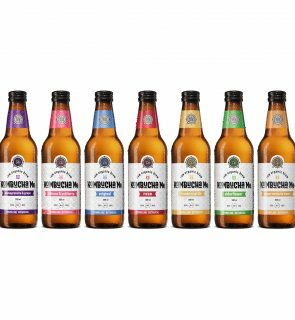 Delicate and uplifting, our elderflower Kombucha can be enjoyed on its own or accompanying fine food. Our elderflower kombucha has delightful honey-scented blooms, giving this refreshing and delicious kombucha a champagne feel. It pairs well with most foods. Have on its own or try it as a base for mocktail and cocktail mixes at your next party. 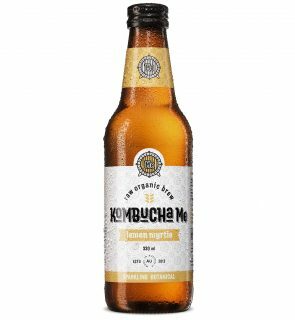 The Kombucha is fermented with quality Chinese teas then fragrant elder blossoms are added at the final stages of brewing. Fantastic as a digestive with any meal, enjoy 20 minutes prior to or after eating for optimal digestive aid. To boost energy levels throughout the day, enjoy on an empty stomach. Pamper yourself with a glass of Kombucha in place of beer, wine or soft drink. filtered water, organic raw sugar, organic black tea, organic green tea,organic elderflower petals/buds, organic live kombucha culture. Delivery across Australia’s major cities. A proud kombucha supplier located in Sydney. We wholesale our sparkling botanical kombucha to retailers across Australia. Providing to cafes, restaurants, pubs, bars and even your local party. Our Kombucha comes in cartons of 12 or 24 (330ml bottles) and 19 Litre Kegs for on tap. We also have office kombucha keg service that includes a kegerator dispenser fridge with free installation, maintenance and keg delivery. If you want to spark up your business and want to have your own brand named kombucha. Get in contact with us about our private labeling service. © 2019 Kombucha Me Pty Ltd. All Rights Reserved.